"They have given us our wintah back." The Bruins, winners of 10 straight, have the best record in NHL. 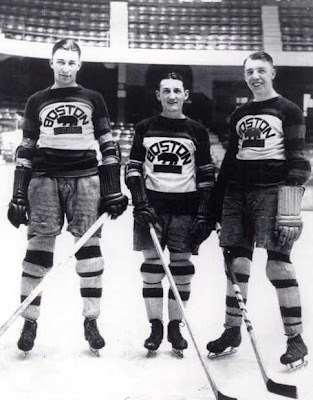 The B's are off to their best start since 1929-30. Weiland and Dutch Gainor (above). The Irish Elk wants one of these.